يحظى فندق Markham Court Apartments بمكان متميز في محور جولد كوست تسوق, شواطئ, مطاعم في منطقة برود بيتش الفاتنة. يمكن من هنا للضيوف الاستمتاع بسهولة الوصول إلى كل ما تقدمه هذه المدينة النابضة بالحياة. بالنسبة لمن يريد الخروج، هذه بعض المعالم السياحية المتوفرة للزوار Broadbeach Surf School, Gold Coast Convention and Exhibition Centre, Haan Health Medical Centre. استمتع بالخدمات الراقية والضيافة التي لا مثيل لها بهذا الفندق في جولد كوست. يمكن لضيوف الفندق الاستمتاع بالميزات التالية على أرض الفندق: تسجيل وصول/خروج سريع, تخزين الأمتعة, واي فاي في المناطق العامة, صف السيارات, التوصيل من وإلى المطار . تتضمن كل غرف النزلاء وسائل الراحة والتسلية المصممة خصيصاً لضمان الراحة القصوى للضيوف. يمكنك طلب اللائحة الكاملة للخدمات في الفندق ومن بينها حوض استحمام ساخن, مسار جولف - ضمن 3 كم, حمام سباحة خارجي, سبا, حديقة. إن كنت تتطلع إلى إقامة مريحة وهادئة في جولد كوست، فستجد في Markham Court Apartments بيتك الثاني. We enjoyed the short time we had at Markham Court. Friendly staff, clean rooms and great location, walking distance to restaurants and the beach. This resort has a homely feel, probably because of the designs such as the beds, sofas were not a plain color, instead of like resort feel. The apartment was quite dim. The bedroom does not provide air-conditioning, only the living room has air-con. I would prefer to stay at the upper levels (level 2/3) instead of level 1 as the balcony has many plants so there are more insects and mosquitoes. The pool is relatively small. However, the counter reception staffs were very friendly and helpful. The apartment door were quite difficult to open on the first try, but after you know how to open the door, it's fine already. Ironing board has a very bad squeaking sound. Staff is very friendly & obliging. Location is superb. Wifi is disappointingly useless. Suppose to have free 500Mb per day per room but after connecting for 10 minutes to check emails and some surfing (no - no major downloads) it says "quota has been reached". Stayed for 3 nights and happens each day with same quota-reached message. Really great location, close to shops cafe's and the beach. No need to use your car at all and the area is very well maintained with a relaxing tropical feel. Good value for money. We booked a three bedroom unit for 3 couples and found the apartment comfortable and roomy. Downstairs had two rooms with single beds plus all amenities while upstairs was a haven. Massive bedroom with robe and bathroom, and surrounding balconies. We stayed apt 59 for 2 nights but can see this would be very comfortable for long stays. Being older apartments there were a few minor defects but for the price you accept it. Markham Court has a fantastic location just a short walk to the beach, shops, Jupiters Casino, restaurants and transportation. Rooms were very clean and spacious, all our needs attended to upon checking in. Car parking off street is available at no extra charge. Would recommend staying here as very good value for money. Location to local shops and restaurants. Proximity to the beach. On the bus route to the theme parks. Overall, the price we paid for a 3 bedroom apartment definitely worth it! The rooms are very spacious and clean. The balcony is definitely a plus. Only 5 minutes walk to public transports and city area for food and only an extra 2 minute walk to the beach. 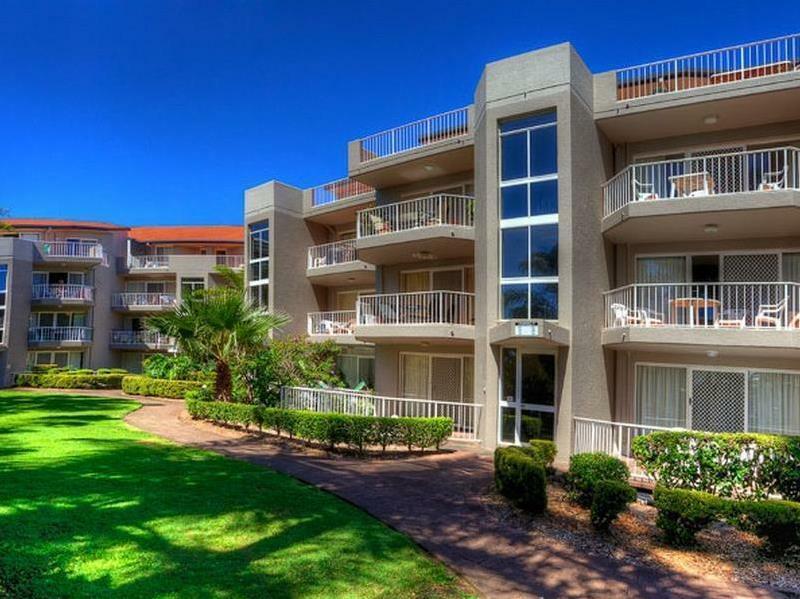 It will probably only take you approximate 15-20 minutes walk to the famous Surfers Paradise. The apartment is very good for groups of friends or family with kids on a long weekend holiday. The location and size of the apartment is absolutely worth everything you are paying for and one word - comfortable! Classic beach house that doesn't cost you too much to have a good weekend/holiday. Beside, if you do want exclusive/romantic and a nice city view of Gold Coast, there is no point to be in Broadbeach and should go ahead and book Q1 hotel at Surfers Paradise. Comfortable and very central to all activities that Broadbeach has to offer. Ms enjoyable stay for my sisters and I includnng my two elderly parents. Wonderful views from most bedrooms and able t he peaceful nights sleep too. Stayed in a ground floor unit for 3 nights. The unit was dirty very poorly maintained (broken security front door, dish washer, shower & ensuite floor filthy).Very noisy from the unit above. These units are out dated and for the price paid you can get a lot better. Glad we only had 3 nights. Very disappointed and would not recommend it. loved it there, didn't want to go home! 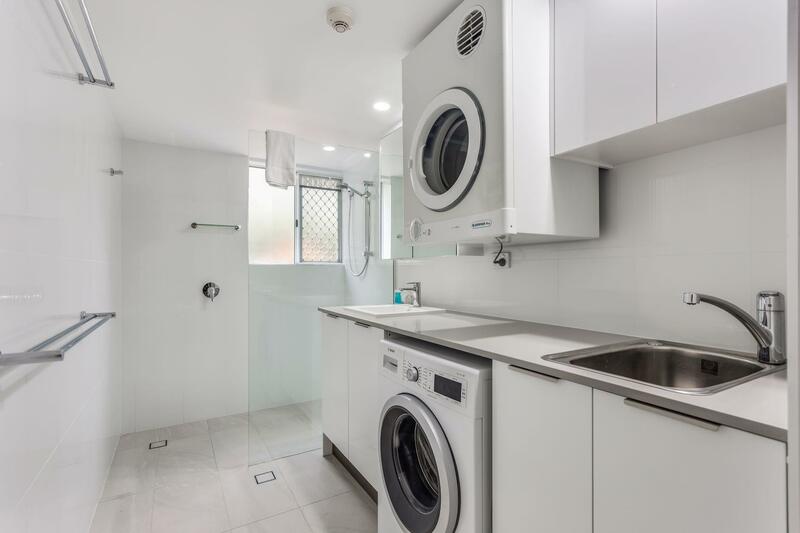 a dishwasher full of dirty smelly dishes on arrival, also someones dirty undies behind the washing machine and under the couch, other than that, couldnt fault it.